An entrepreneur must assess suitability as an entrepreneur before developing a business. This suitability assessment will tell the entrepreneurs areas of strength as well as areas for further development. In order for an entrepreneur to be successful, an entrepreneur should work on leveraging strengths and the passionate he/she possess that will be a fuel for a success and growing. Passion: How passionate about creating a new business. Goal orientation: To what extent he/she works with clear goals and plans. Making decisions: To what level he/she can make a right decision and whether applying the right approach and possessing the right skills to do so. Taking risks: To what level he/she can tolerate risks in relation to conducting a business. Ability to handle stress: Assess your ability to handle stress. Social support: Assess whether you have sufficient level of social support. Financial situation: Assess your financial situation and up to what level you can afford paying for the capital and expected losses of a business. Business skills: Assess your possessive business skills,such as marketing, accounting, finance, team leader, project management, planning, problem solving,…etc. Commitment to your community: To what extent you are committed to contribute into developing your community. A lot of barriers for the new entrance and product substitution. The target customer is well funded. Readily accessible to your sales force. Has a compelling reason to buy your product. You can develop a product that a customer want. You have a competitive advantages that will strengthening your competitive position and finally it is growing and can be leveraged with other adjacent segments. Determine how the benefits of your product turn into value that a customer gets out of your product. Go for the unique value proposition that is wanted by a large group of customers, difficult to be copied or imitated and giving an edge for your USPs. Calculate in quantitative way how your product benefit the customer as on to make him better, faster and cheaper. By doing this exercise, you will be able to easily convince customers to buy your product. This exercise will also help to further develop the product to better fit the needs of the customers. Explain why your business can provide customers with a solution that other business cannot nearly as well. Also explain why customer buy your product not other products and what makes your product offering special and hard to imitate. Competitive position can be developed through a thorough investigation of competition structure and choosing 2-3 competition factors that your business has competitive advantages and perform well in the market. Then, this competitive position can be developed as a matrix plotting your business position in comparison with other active competitors. Show how well your product meets the persona’s top priorities. Show how well the persona’s priorities are met by existing products in comparison with your product. Analyze whether the market opportunity you have chosen fits well with both your core and persons’s priorities. Visualize how your product in comparison with other competitors meet the persona’s top priorities. You will need to explain how to develop, deliver and capture values (sell your product). After assumptions are made, the business model must be validated through interviewing potential customers and collect evidencing information on key assumptions. It is achieved if growing revenue is evidenced. Growth can be reached as through paid growth ( i.e. advertising and promotional campaigns) or sticky growth (i.e. sales agreement or recurring revenues) or referral growth (i.e. refer another customer to switch in and buy your products). Corporate identification and communication: Where mission, vision and corporate’s aims are clearly written and communicated. Mission & vision are well reflected in the company’s name, logo, branding and business strategies. System of reviewing and updating corporate identity in a frequent basis is required. Corporate governance: where policies, procedures, work instructions and forms, including who and what to do to carry out the business activities are well defined, communicated and implemented. Corporate strategy: where mission, vision and strategic directions are well defined. Also strategic objectives, initiatives, action plan, resource requirements and control are clearly defined. Business planning: Targets and actions plan and control are well defined over a period of one year. Cash management: Proper and healthy cash flows are well attained as through operation, investment, finance and equity. Cash Flows are mainly generated from operation (income statement). If a business is profitable and growing and well controlled expenditures, cash flows will be healthy and generating surpluses. Financial management: developing and managing accounting system, cost of accounting, financial reporting, resources, auditing are well handled and controlled. Marketing and sales management: this is a core and will have a direct influence on growth of business. Marketing and sales management consists of developing new customers, markets, making profitable sales and managing marketing activities. Leadership management: where the management of business will lead teams and motivate them to reach potential. Access to finance: This is achieved if a business has a quick access with reasonable cost of financing to finance new investments and support sales growth. Innovation: Innovation requires a supporting culture, talented team, resources, accountability, system of identification and controlling ideas, and others . Innovation will be fueled with creating ideas to better create values and grow business. Innovation will have great influence on reducing cost and increasing sales. People: Acquiring talented and motivating team will help to transform business and grow. Managing a team will foster productivity and contribute into business growth. Operations management: Managing internal operations such as production, quality, store, finance, staff as well as external such as supply chains, banks, regulatory and licensing bodies and customers, are necessary to create values and meet the changing need of customers. Operations will aim at reducing waste, better utilization and management of resources, support quality and better meeting the changing needs of customers. Sustainability: This is mainly meant the economic, social and environmental sustainability. Having a growing and profitable business that contributes to developing the community and protecting the environment, will have great influence over growing a business. Managing change: A business is usually working in a changing environment and success depends on a level of business adaptability and successful managing of changes to better satisfy the changing needs of customers. You please feel free to feed me back with your comments and suggestions. Should you need a training or mentorship or advising assistance on growing your business, You please contact us. 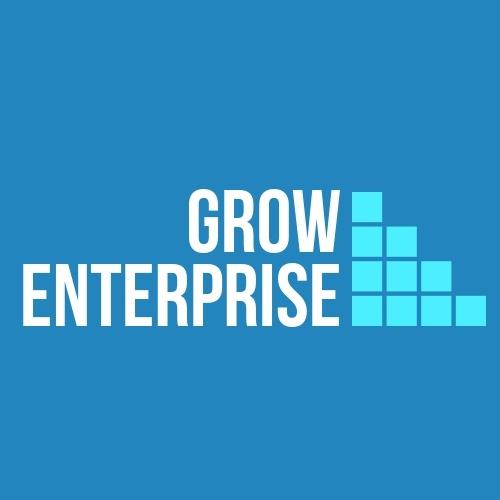 For more details, you visit our website http://www.growenterprise.co.uk.